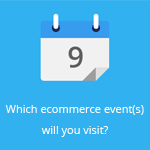 May 23, 2013 by Ecommerce News. About Acquisition with tags France, The United Kingdom. 4329 views. French ecommerce company MenInvest has acquired the London-based online retailer Oki-ini for an undisclosed amount. Two of Oki-Ni’s co-founders will join the company’s board as shareholders and will advisor the Group. The acquisition is all part of MenInvest’s plan to reach €100 million in revenue by 2016. With the acquisition of Oki-Ni (more than 500.000 unique visitors per month) MenInvest hopes to reach 20 milion euros in revenue at the end of this year. By 2016 they hope to reach 100 million euros in revenu and become the global fashion destination for men online. More about France or The United Kingdom.